the portion of an axon between two nodes of Ranvier. 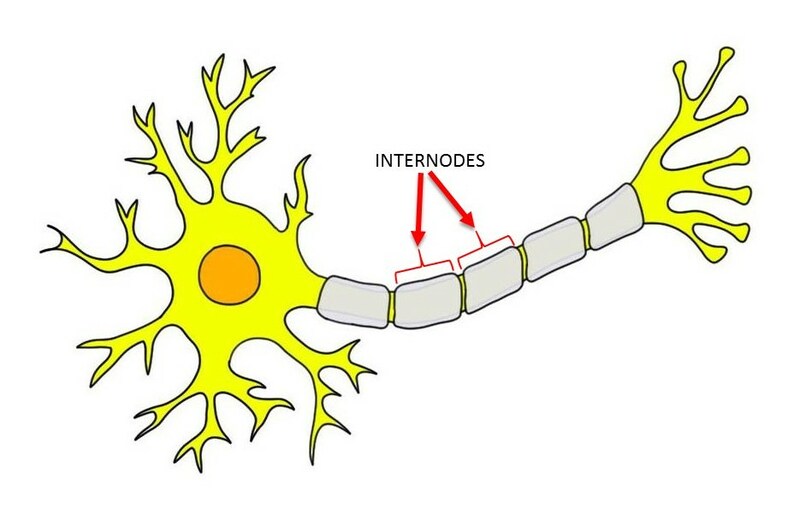 Internodes, unlike the nodes of Ranvier, are covered with myelin. Watch this 2-Minute Neuroscience video to learn more about myelin.